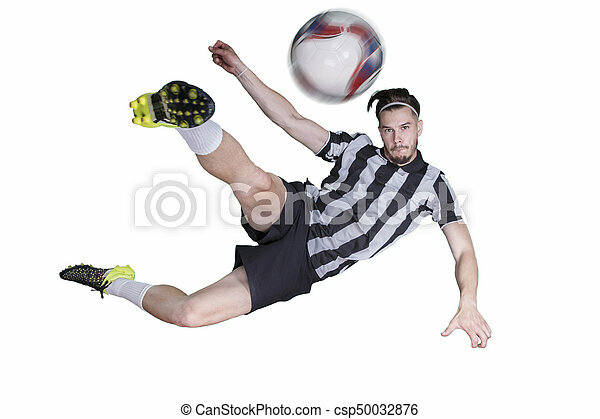 Soccer player kicking the ball. 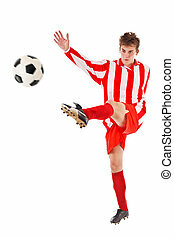 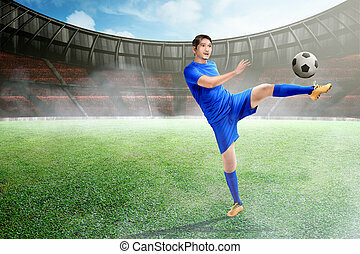 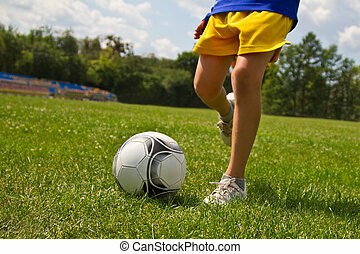 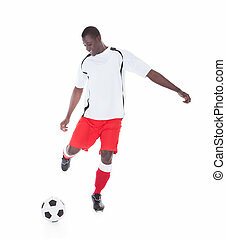 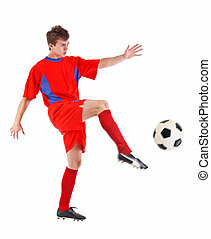 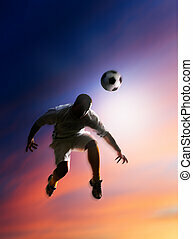 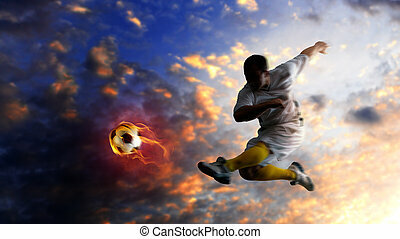 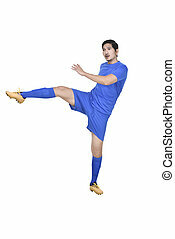 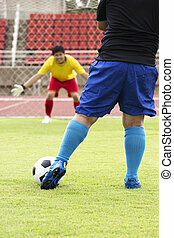 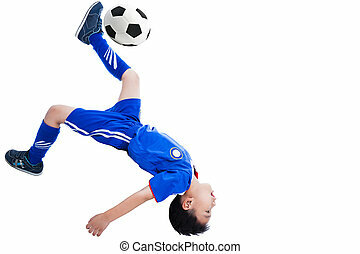 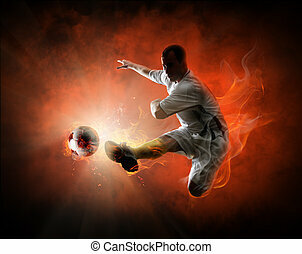 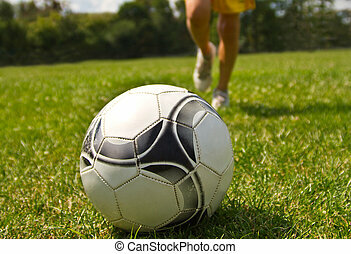 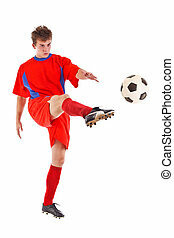 Soccer player kicking the ball on white background. 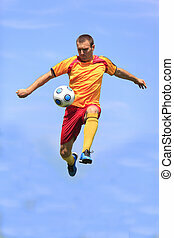 Soccer player kicking the ball while jumping.